Tonight’s NHL Picks will be listed here. You can also find links to all of our previous NHL picks below. Be sure to check back daily to get Tonight’s NHL picks! Remember, to gain access to all of our picks, you will need to sign up for our Premium Picks Season Pass (click here to learn more). If you don’t have the time to check the website each day, be sure to sign up for our free NHL picks by email. The signup boxes are located to the right, on the home page, and at the top of this page. 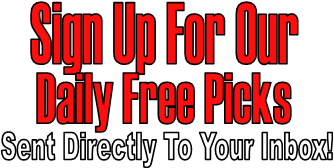 The free picks will be sent directly to your email inbox as soon as we release them. The best part? They’re 100% FREE. We highly recommend signing up for our Premium Picks Season Pass to get all of our picks all season long. The Free Picks are limited, and on some days there may not be any free picks at all. To take full advantage of all of our Expert NHL Picks this season be sure to sign up for our Premium Picks Season Pass by clicking here. We respect your privacy 100%, and we will NEVER spam you! 1) How many “units” do you risk per pick? We risk 2 units per pick, which translates to 2% of our bankroll. This is recommended for all picks, unless otherwise indicated by us. We will never risk more than 5% of our bankroll on any pick. Whatever your bankroll is for Hockey Betting, simply multiply that number by .02 and you will know what 2% of your bankroll, or “2 units” is. 2) Are These Picks Free? Yes, our Free Picks are 100% Free. Why? Well, we are making these selections daily anyway for our own use, so we might as well share them with you and help you win some money as well. All we ask in return is that you tell your friends about us, and like us on facebook. If you want access to all of our picks (not just the free ones), you can Click Here to Purchase our Premium Picks Season Pass. 3) How Do I Get Your Picks? Sign up for free, using any of our sign up boxes- we just need your name and email, and we will send you the picks each and every day as soon as they are ready. You can also check the site everyday if you wish, as our picks are posted under “Tonight’s NHL Picks“. 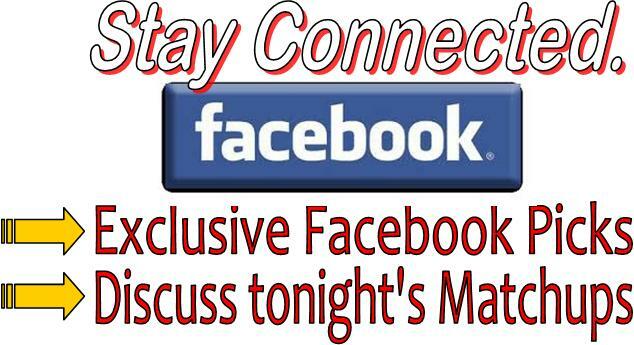 You can also check our facebook page daily for our Free NHL picks. We highly recommend signing up for our Premium Picks Season Pass so you can get all of our picks. 4) Where can I Bet on these picks? We make most of our selections at BetOnline.ag. You can check out our recommended NHL Betting Sites by clicking here.